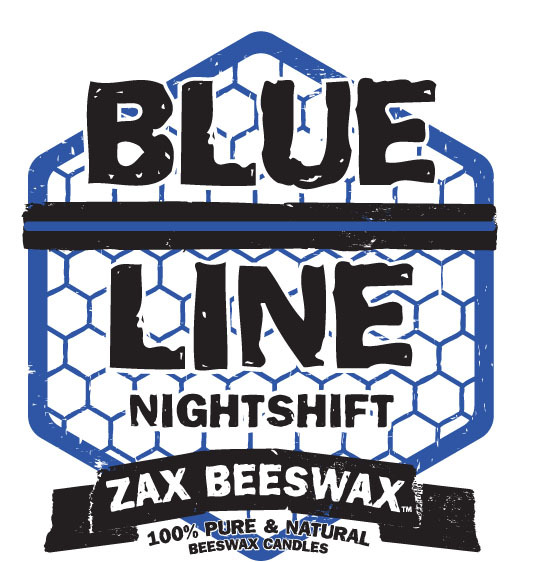 Our Zax Beeswax Blue Line Candle selection has been created to honor Law Enforcement nationwide. Law enforcement officers risk their lives to ensure safety in ours. They give up time with their families, work holidays, work all hours of the day, and endure the stress of the job so that we as a society can function and live in peace. Sadly, our law enforcement officers have been under attack both physically and by the media. We appreciate our law enforcement officers. 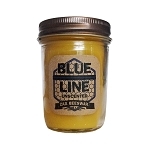 50% of all profits from our Blue Line candles are donated to various organizations that benefit and honor those officers who have made the ultimate sacrifice. Some of those organizations include the National Law Enforcement Officers Memorial, Concerns of Police Survivors, the 100 Club of DuPage County (IL), and directly to the families of fallen officers. 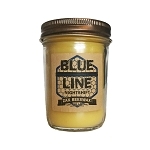 BLUE LINE NIGHTSHIFT - Sharp, spicy, lavender, amber fragrance. This masculine scent possesses a blend of lavender, citrus, spicy berries and sandalwood. This scent is nearly identical to Yankee Candles's Midsummer night / Drakkar Noir cologne. Love this candle It has a bit of a masculine scent with a hint of honey, great candle, even better customer service!